In the late 1800’s the real estate area now known as Regis, served as a gateway to the mountains, gold fields and trading routes west. Then in the early part of the twentieth century, Regis real estate was better known for its extensive parks, beautiful water district, and clean, fresh air. This history, while humble in its origins, stands as an important part of Denver's heritage, and is uniquely tied to the place many students have claimed as their Alma Mater for more than 125 years: Regis College. 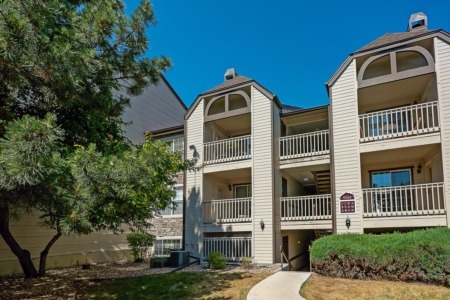 Home to Colorado's largest private institution of higher education, Regis real estate district is a charming neighborhood, situated between 52nd Avenue, Interstate 70, Federal Boulevard, and Sheridan Boulevard, in northwest Denver. Residents here enjoy east access to Interstate 70, and the many shopping and business establishments along Federal Boulevard, making it a convenient place to live. Regis real estate district is part of a collection of North Denver neighborhoods and historical townships known as The Highlands. Housing types available in Regis range from row homes and duplexes, to the grand Victorian and Queen Anne mansions. Post-WW II era single family detached houses and apartments are both in great demand. Charming early century bungalows and typical '60s-era homes all share the panoramic view of Denver’s skyline and the Front Range. Regis real estate neighborhood is currently undergoing, considerable restoration, as historical sites, community centers and marketplaces get a makeover, with an eye toward maintaining that small rural feel historically unique to this area of Denver. The Regis real estate community has been home to many waves of American immigrants who established the neighborhood's still-thriving churches, businesses, restaurants and cultural events. A drive along Federal Boulevard reveals plenty of green space, including Inspiration Point Park with its spectacular view of the Rocky Mountains, and Denver’s skyline. The Regis campus is a beautiful urban space of brick and brownstone that will continue to be the centerpiece of Regis neighborhood’s historical and academic excellence.